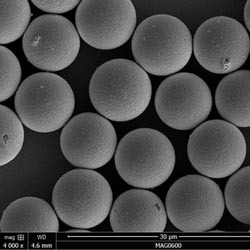 Grey microspheres of high sphericity and tightly defined particle size distribution are used in industrial and scientific applications for process control, diagnostics, and medical device technology. Conductive Silver Metal Coated Solid Soda Lime Glass Microspheres - Sizes between 1 and 180micron. 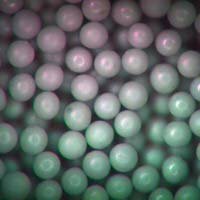 Conductive Silver Metal Coated Solid Soda Lime Glass Microspheres - Bulk Sizes between 11 and 160micron. 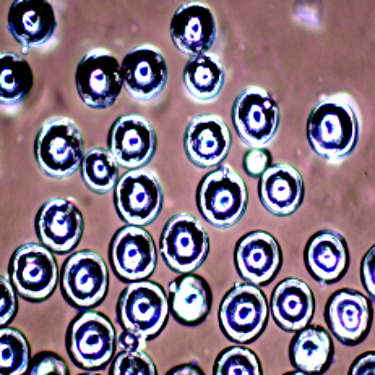 Highly electrically conductive microspheres can be used as a filler that is lighter than solid silver. Copyright © 2008-2018 Cospheric LLC. All Rights Reserved.